Qui Pro Quo is the set of three ocasional tables of different height that fit one into the other. The set is very practical and flexible. Depending on your needs you can use it as one table with several surfaces or separate it to create handy surfaces to put things on. 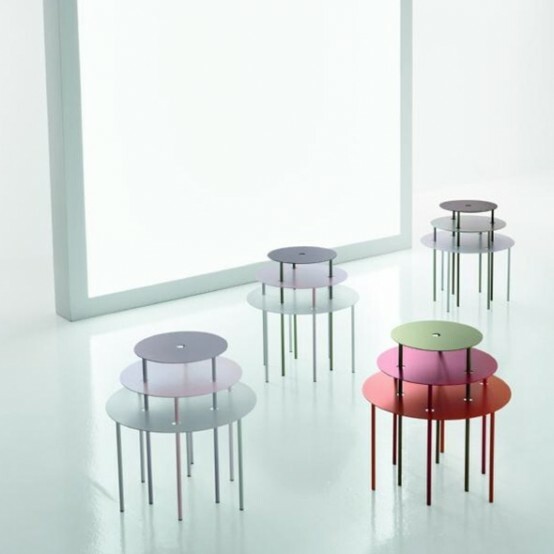 The tables are made of painted in various colors metal. Tables from one set can share the color or be multi-colored. There are three combinations: white-pink-dove grey, pink-dove grey-tobacco and red-orange-green. 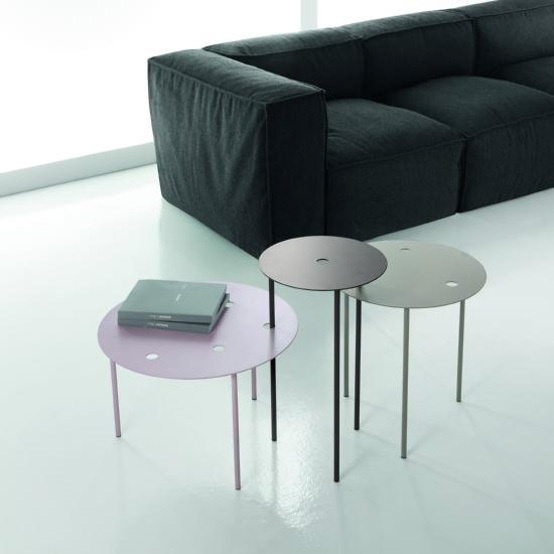 The tables set is designed by Gino Carollo for Bonaldo as a very cool space saving solution.